When You’re Getting Divorced, Please Don’t . . .
Did you know that litigation is not your only option to obtain a divorce, determine support or to address custody? Sometimes litigation is necessary, but for many couples, it is not. Your divorce does not need to be a blood bath on the battlefield, even in the most contentious situations. Process options such as Collaborative Law and Mediation can be effective alternatives to adversarial divorce proceedings. Use of these methods may help you save financial resources; reduce the amount of time the divorce takes; limit your children’s exposure to Court; allow you to have a more direct role in the outcome; and preserve family relationships. Before you rush to the Courthouse, consult with a legal professional who is a trained Collaborative Law Attorney or Mediator, so that you can make an informed decision as to which process option best resolves your problems. This one should be obvious but in those stress-filled moments, things happen that ought not. I often hear from clients that they are worried about how the divorce will affect their children. Take ownership of this fear and be mindful of your own actions. Not involving your children means a whole host of things like: not taking your frustrations out on your kids; not blaming your children; not venting to your children about adult problems; not asking your children where they want to live or pressuring decisions from them; not trash talking the other parent, or other family members for that matter; not discouraging your child from wanting to spend time with the other parent; not withholding your children from the other parent (unless there is a legitimate safety issue); not arguing/fighting in front of your children; and not talking about the divorce or Court action in front of or to your children. If you have a custody case in Court, such conduct is harshly viewed by the Court and could result in you losing custody time. For many who find themselves about to divorce, there is this gut reaction to self-preserve and remove your spouse from as many things as possible. When it comes to medical insurance, life insurance and retirement accounts, the Court most likely will Order you to maintain “status quo” pending the divorce action. This means, if you covered your spouses’ medical insurance or had him/her named as a beneficiary on a life insurance policy or other investment account, the Court can make you put your spouse back onto those policies through the duration of the divorce litigation. Taking them off prematurely will only serve to increase your attorney fees and could have other dire financial consequences in the event of a medical emergency or death during the divorce. You should discuss such matters with your attorney before you make any changes. Now is not the time to buy that new Ford F150 or book that expensive vacation. You will want to preserve whatever cashflow you can during your divorce, as there will be additional expenses to support two households and there will be legal fees and costs. You may have child support and/or spousal support obligations which will impact monthly income. You should expect that your Divorce will cause a change in your lifestyle, at least temporarily, and you should plan accordingly. Also, if you make the decision to deplete marital accounts, the Court can either require you to return the funds or deem the withdraws as advances to you in property distribution, which may not be beneficial to you in the long term. It’s an emotional time, not just for your, but your entire family. Counseling can be an effective way to address your emotional and mental health needs, so that you can make good intellectual decisions moving forward. There are skilled therapists who work with families and can provide support for the children too. Co-parenting counseling can be extremely helpful for a divorcing couple to navigate the challenges of raising children in separate households and/or provide valuable communication tools to work through conflict. No one knows how to irritate your spouse like you do and right now you feel ready to unleash. Don’t do it. It’s only going to cause your spouse to return the favor and escalate what is already a difficult situation. Throwing your spouse’s clothes all over the front yard when it’s raining is not going to help resolve problems or suddenly induce your spouse to act in the manner you want them to. Such actions are a complete waste of time and energy, but more importantly, are incredibly counterproductive to obtaining whatever it is you actually want to accomplish. There are so many social media pitfalls when you are going through a divorce and/or a custody case. When you are involved in litigation, you should presume that everything you say and do will be scrutinized under a microscope, probably in the light least favorable to you. I know, you need to vent. I know you have the most damaging photo of your spouse and you want revenge. I know, you blocked your spouse and all his friends. And I know, you think you will feel better once you hit “post” and start to see those comments of support and “likes” coming in. Trust me, you might feel better for a few minutes, but it’s not worth it. Once you post your private information on social media, you should presume it will be out for the whole world to see forever, even if you later delete it. Your post can be shared and saved in a whole host of ways. You can’t take it back. Do not trust your Facebook “friends” to protect you. They may actually make the situation worse by unknowingly disclosing other things that you may not have intended in their comments. Your divorce is not the topic you want to start a Facebook war over. You should expect that your spouse will eventually see your posts and may post unfavorable things about you. You should expect that your children will see those posts. And you should expect that your spouse’s attorney will see them, at which point, you will see them again yourself in the Courtroom and you won’t be feeling good about it at that point. Have you ever noticed that when you or someone you know has a legal problem, everyone has an opinion about what you should do. Or, maybe your friend has been through a divorce and wants to project their experience on you. Legal “knowledge” obtained from television shows or other media makes everyone around you an instant expert. Remember that it’s your life, your marriage, your kids, and your financial resources. It’s one thing to ask for support or advice from a friend. It’s an entirely different matter when your friend thinks they know better than your professional legal team, or financial advisor, or your own knowledge. No two divorces are exactly the same, which means no two outcomes are exactly the same either. In the end, you are the one who will have to live with your decisions, not your friend. 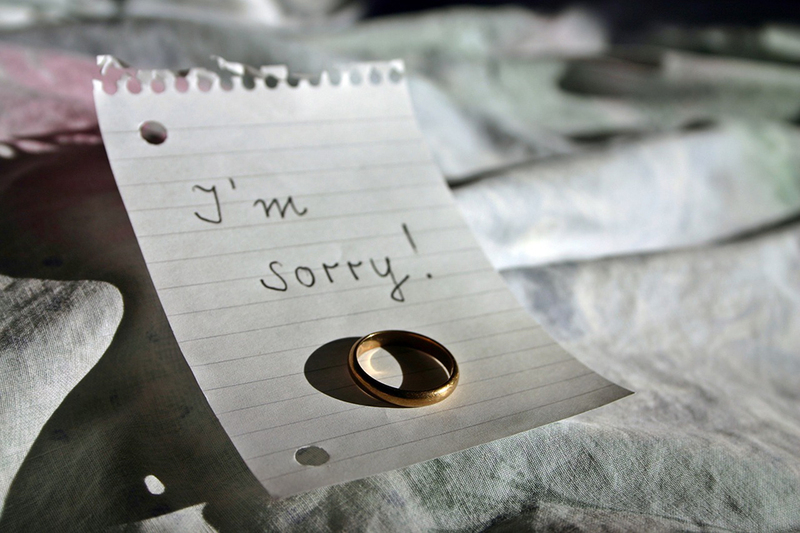 Did you know that second marriages statically have a higher divorce rate than first marriages do? I get that you are excited to start that new chapter in your life and it’s reasonable to want to find happiness again. But, resolving your divorce becomes so much more difficult when you’ve already committed yourself to another relationship. Your Ex will resent the situation, which likely will affect your ability to settle your case and drag out the process longer than necessary. It’s difficult on your new partner too, not the mention the emotional toll which it will have on you. If you have children, it’s even more complicated. One also cannot guarantee when your divorce will be finalized. If you go ahead and pay that huge non-refundable deposit on a wedding venue, for a certain date, and your divorce has not been finalized by that date, I bet you can imagine how this plays out. Take the time needed to respect both relationships, the old and the new. Your second marriage will be much stronger for it. While the process can be overwhelming and stressful, your divorce does not need to define your life forever. Of course, it is not something you hoped for. Of course, it is a life event that will shape you in some way. There will be difficult days. Try to maintain realistic expectations and focus on the issues which are most important to you, instead of letting every minor issue consume you. Keep doing the things which bring you joy and grab hold to the positive things in your life. There are blessings in the darkness, but you have to be willing to see them. Liberty J. Weyandt, Esquire leads the Family Law Practice at The Lynch Law Group. She is dedicated to assisting clients who are seeking solutions to complex family law matters. In addition to extensive, traditional litigation experience, Liberty is also a trained Collaborative Law attorney and Mediator. Please contact Liberty at (724) 776-8000 or lweyandt@lynchlaw-group.com for more information about divorce proceedings or other family law matters. Read this post for more information about Collaborative Divorce or visit the Collaborative Law Association of Southwestern Pennsylvania (CLASP). This entry was posted in Family Law and tagged divorce. Bookmark the permalink. ← Do You Have Comprehensive Anti-Harassment Policies and Procedures In Place?